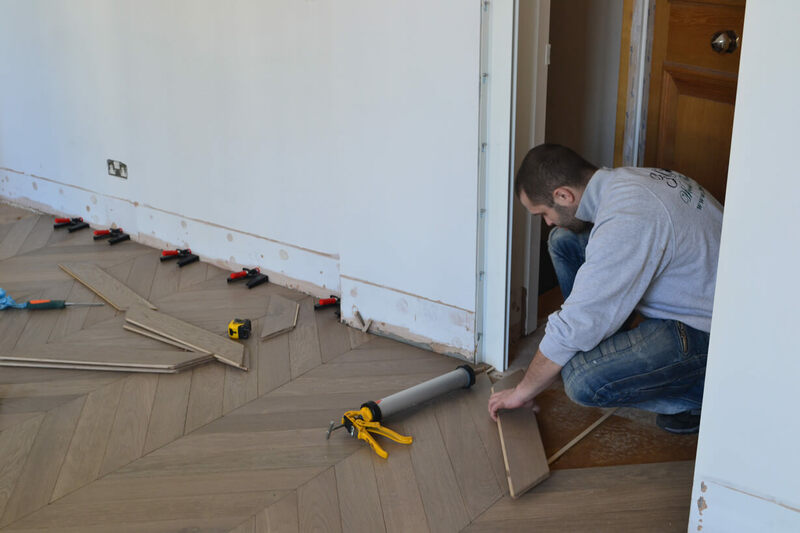 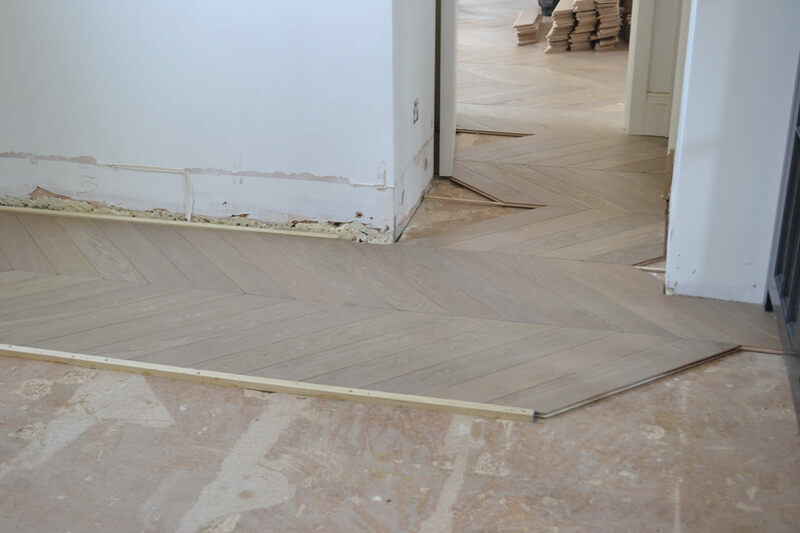 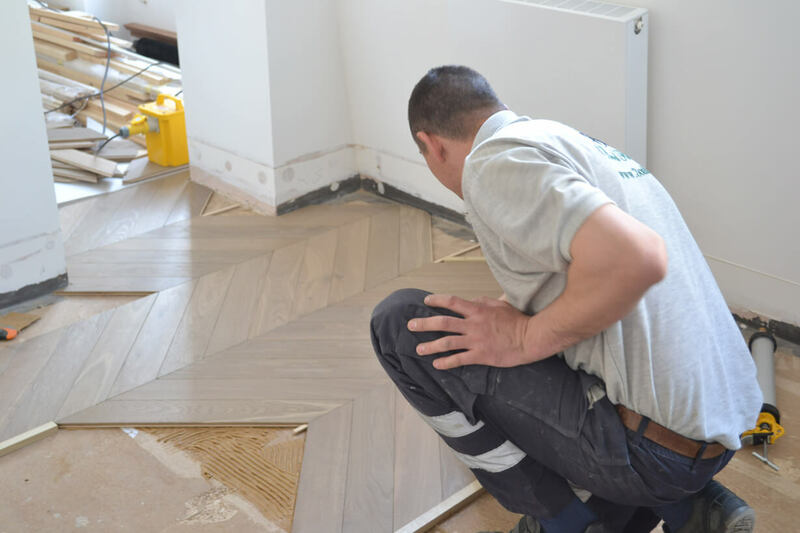 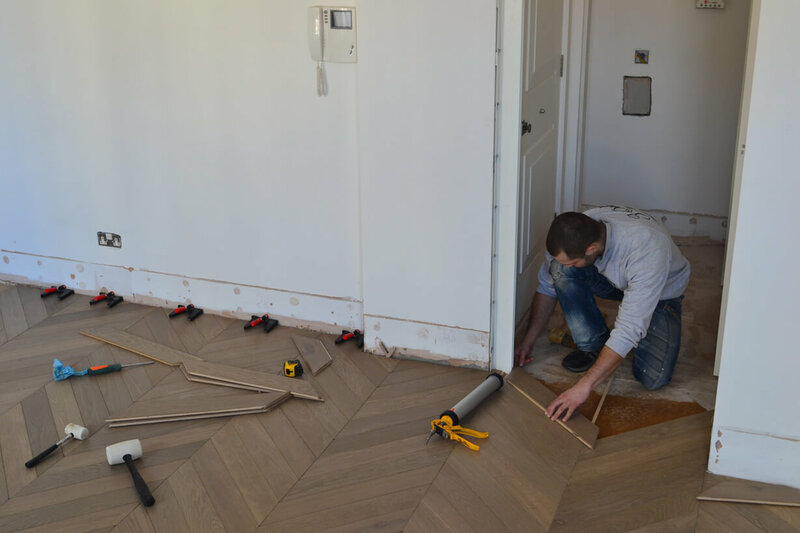 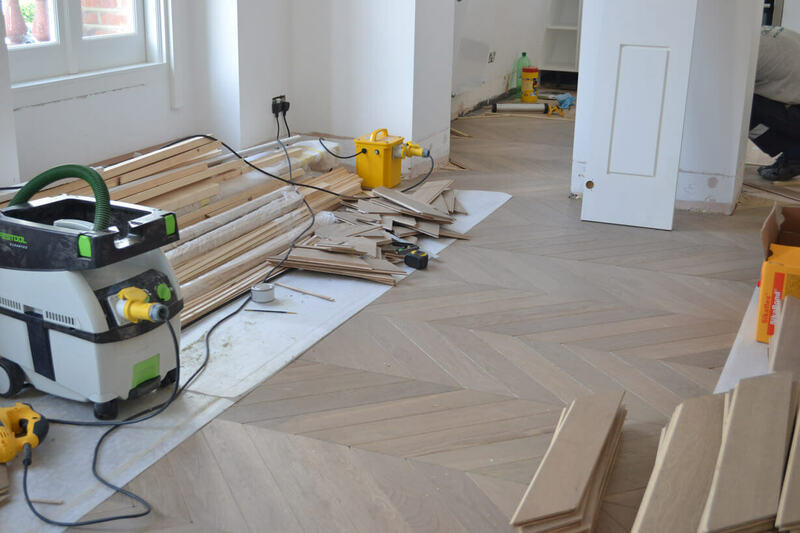 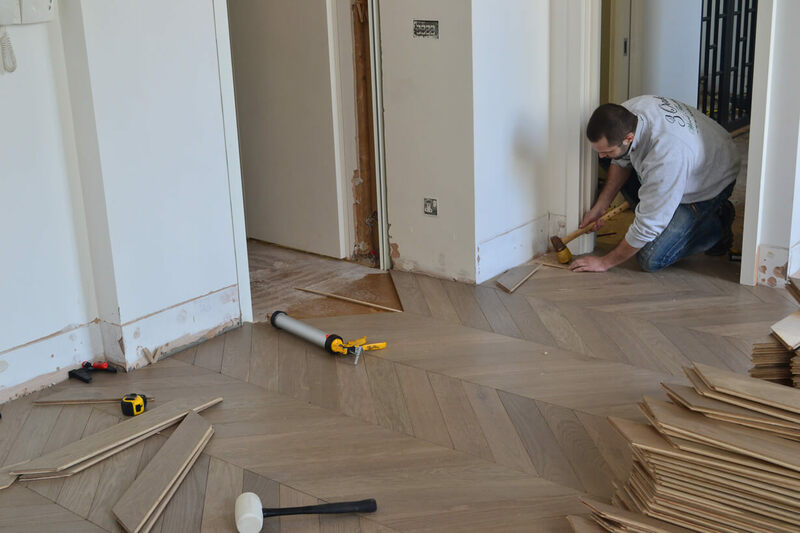 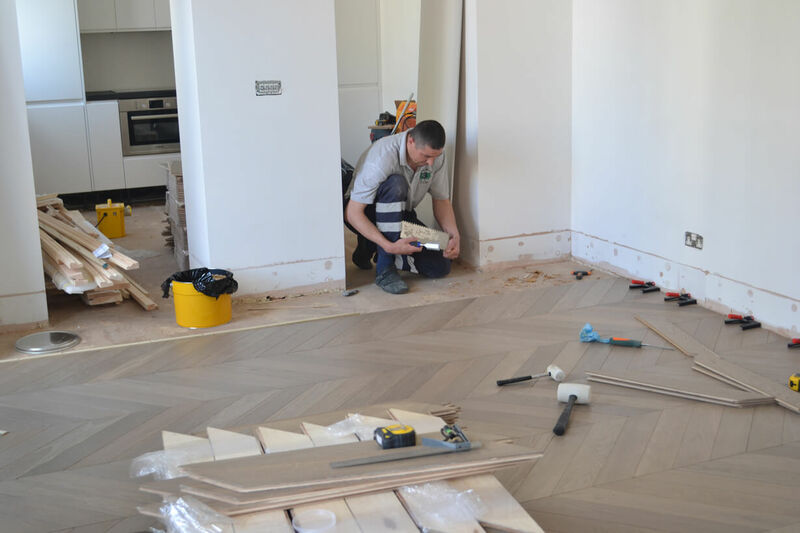 These photos detail the installation of an Engineered Chevron Parquet floor in Kensington. 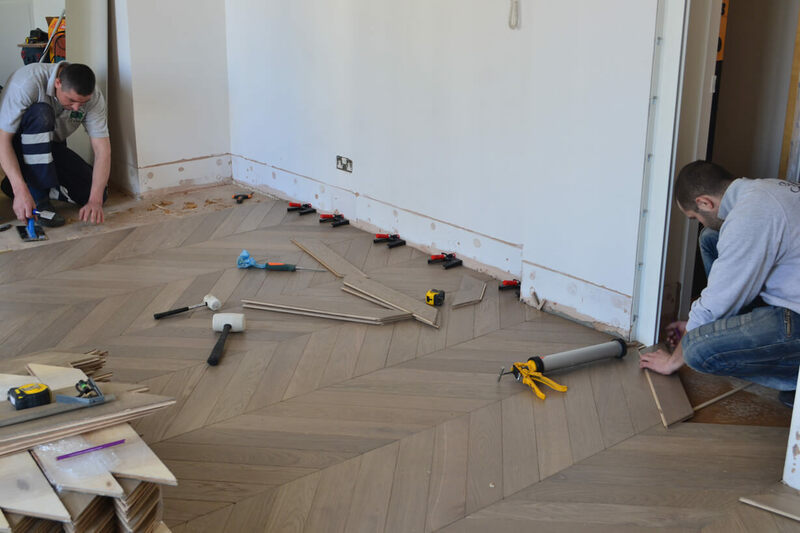 This was a distressed chevron parquet in a finish called Smoky Joe. 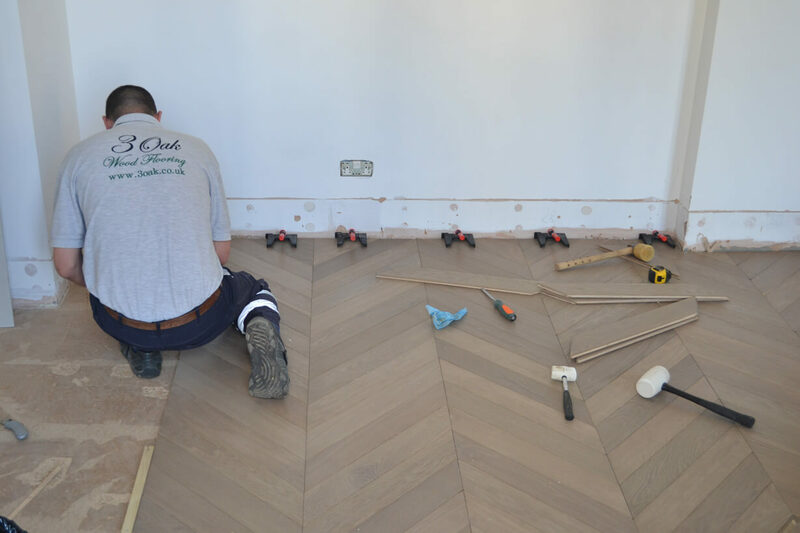 In this case each parquet block was 14 mm thick. 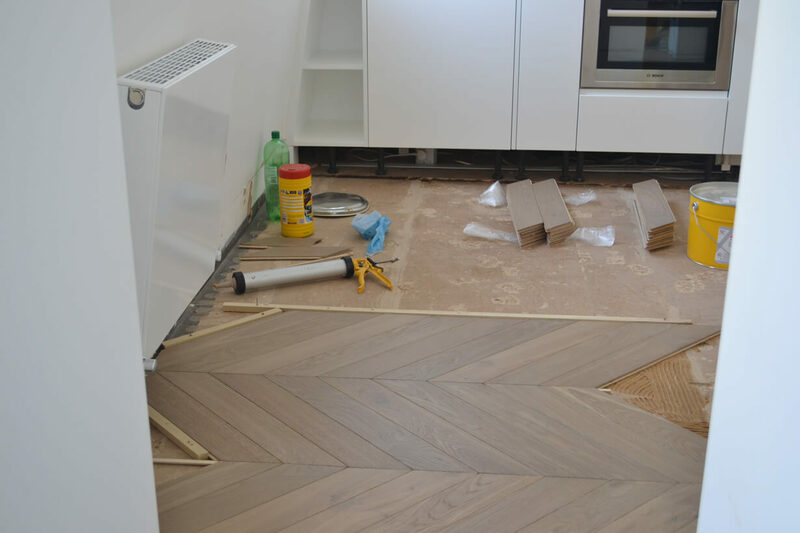 The floor was installed in all the living areas of the flat including the kitchen and bathrooms. 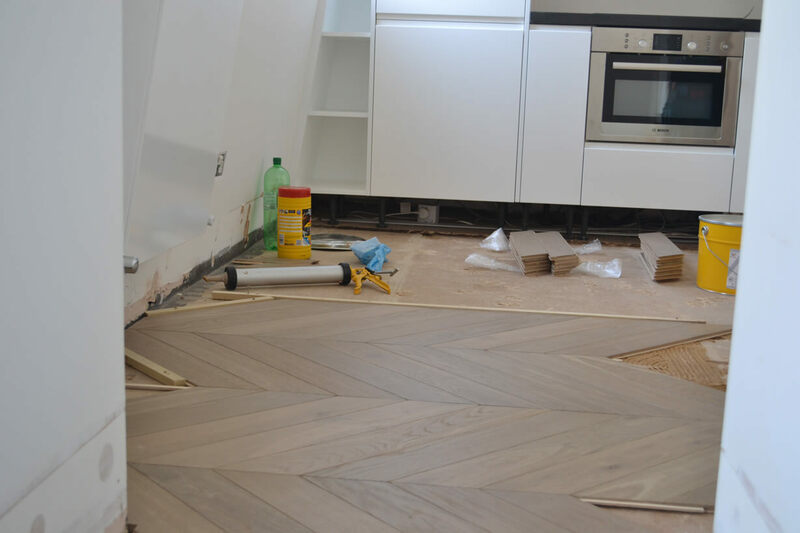 In this case it was a Lacquered floor. 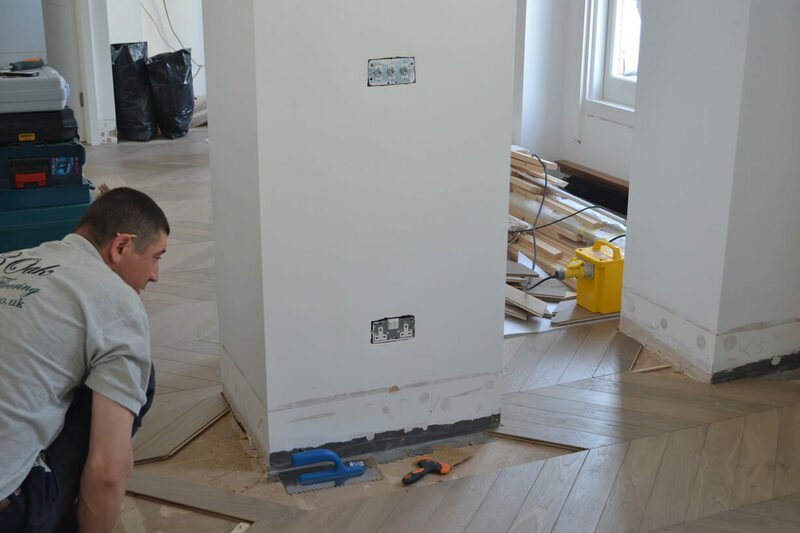 An extra coat of Lacquer was applied on-site to ensure extra protection. 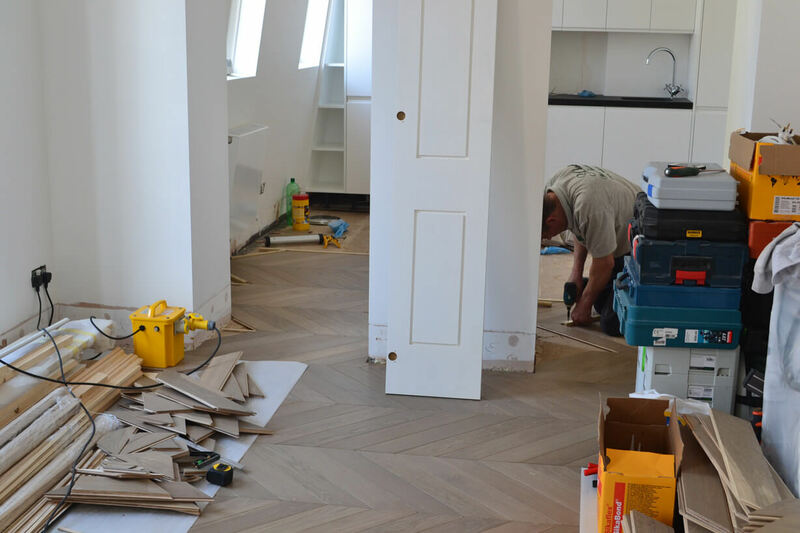 Being a top floor flat, sound insulation was of major importance. 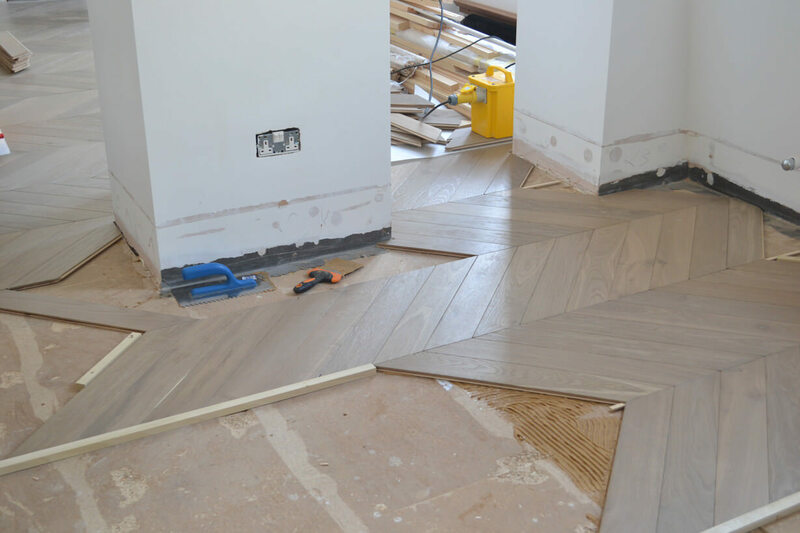 The client sourced some high performance Acoustic Underlay called Acoustideck for its excellent sound absorption properties. 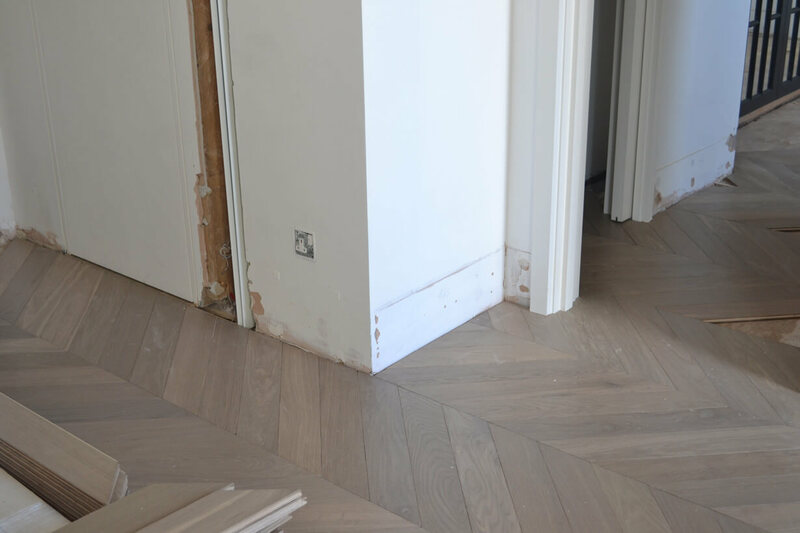 Please view the portfolio page of our website to see it finished. 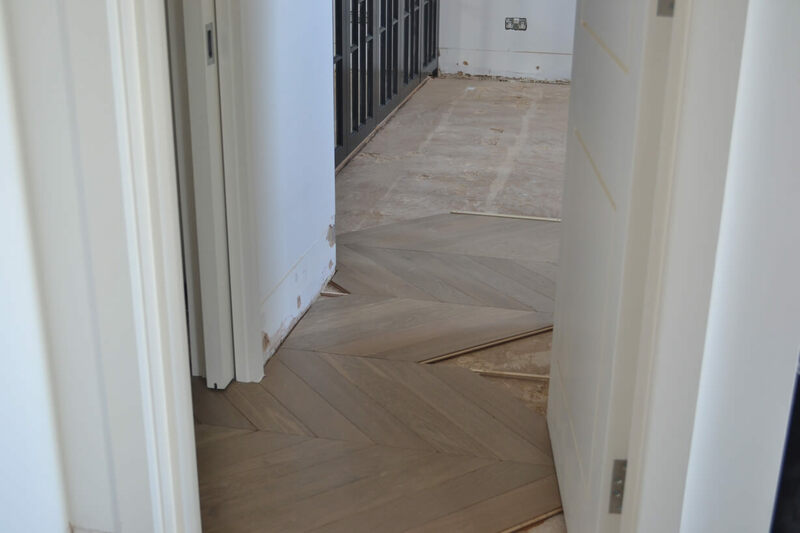 We were really happy with the finished look.